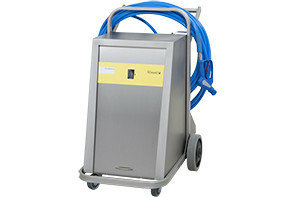 Low-pressure foam cleaning | Sulbana AG – Käserei-, Hygiene- und Verpackungstechnik. Low-pressure foam cleaning has been strongly established in food processing operations. For more than 20 years we have been equipping food operations with our robust and high quality cleaning systems. With the Foamico foam cleaning system we offer complete system solutions to rinse, foam and disinfect – all the functions in one system. Our technology enables an efficient, material preserving and low-cost cleaning of surfaces and production plants. 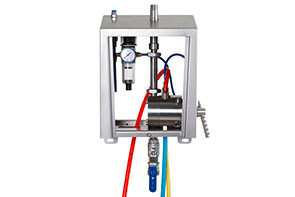 The systems have an injector switching block for the connection of up to three chemicals, with mechanical switching function and a central exit for all functions. 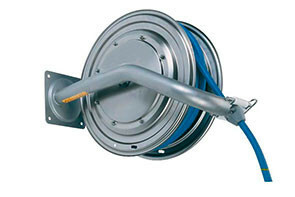 For each chemical there is a separate injector with its own suction hose available. This avoids the various chemicals mixing and each type can be dosed separately with the right concentra-tion. The dosage is adjusted by built-in screens in the injector. This makes it difficult to manipulate the system, and a consistent concentration is achieved. 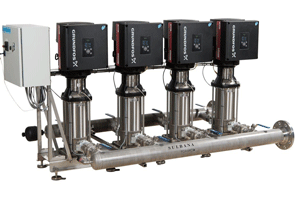 Frequency-controlled, energy-efficient stainless steel centrifugal pumps guarantee constant pressure and optimise energy consumption. No electronic, high-maintenance operating panels on the front side. All of the electronics are housed, well-protected, in the frequency converter of the motor. Low aerosol formation (no spray mist caused by high water pressure which contains germs). Easy operation and/or function switching – purely mechanical turning handle on the casing side. Individual function descriptions through various cleaning symbols, with clear colour coding of chemicals. Best service accessibility, as the front cover reaches the whole height of the system and can be completely removed.